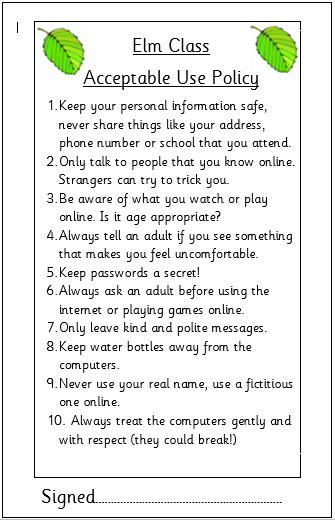 Remember your e-safety rules before clicking on any of the internet links on this page. For more information on how to stay safe, visit the e-safety page. You will find updates on here about what we have been getting up to. I will try my best to put new and exciting things on it as often as I can so please come back and visit it when you can. I will post copies of the children’s homework tasks here every week as well as updates on school activities, trips or curriculum days. There are also useful websites related to each of our topics that may help with any take home tasks. I would just like to take this moment to tell you how much I am enjoying teaching your children. They have been truly fantastic and I cannot wait to see what the rest of the year brings! If you can think of anything that you would like to have on our page then please let me know! If you ever have any questions, please do not hesitate in coming to see me either before or after school. P.E- Monday Morning (indoor), Thursday Afternoon (outdoor). Please ensure correct Balliol P.E Kit is worn along with long sleeved and long legged clothing during the colder winter months. Children will also need appropriate footwear for both the indoor and outdoor sessions. We encourage water bottles in our class (water only in bottles); the children have access to them at all times and are encourage to keep hydrated. - Reading. 15+ minutes daily. Please listen to your child as often as possible. It is important for your child to understand what they are reading so please question your child about what they have read. - Spelling. Practice daily. Children receive 10 words a week and new spellings are set on Fridays; test the following Thursday - please encourage your child to practise regularly! - MyMaths. Set weekly every Friday. In for the following Friday. The tasks are set to consolidate learning from the week; it is important that your child completes this homework every week. Examples of other optional home learning tasks may be found on our termly topic newsletters. As well as weekly spellings, the children should be practising their key words. Please practise the spellings below as you should know all of these by the end of Year 4! Today we have learnt about how important it is to stay safe when using the internet. We have created our own class acceptance policy for using the internet. We loved the ‘think u know’ website! Some ideas for home learning based upon our curriculum day are listed below. - Create a guide for parents. What do they need to know about how to keep you safe when you are at home? E.G check websites for suitability before you use the, stay in the same room when you are on the internet so they can help if you come across anything that makes you feel scared or uncomfortable. - Make a story book for the younger children with a strong e-safety message (could be a comic strip!) Remember to use a simple framework for planning E.G a story mountain, not too many words on a page and plenty of illustrations.